There is no question that McInerney has talent to burn... The erstwhile Sweary Lady on bellicose form: an irrepressible volley of unrehearsed words from a brand new throat. Ireland seems to be enjoying a remarkable surge of young women writers...having recently produced impressive debut novels. Yet Lisa Mcinnerney's may be the most eagerly awaited of all. 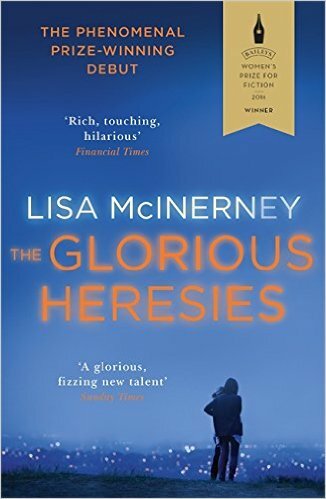 The Glorious Heresies is a spectacular debut by Lisa McInerney. Tough and tender, gothic and lyrical, it is a head-spinning, stomach-churning state-of-the-nation novel.